The Aldi store tour was produced to help new employees. 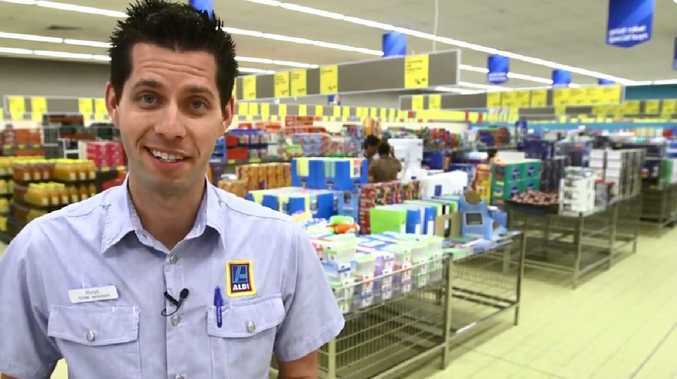 AN Aldi employee has dished some insider secrets on how the nation's favourite supermarket is run and how to save cash during your next visit there. 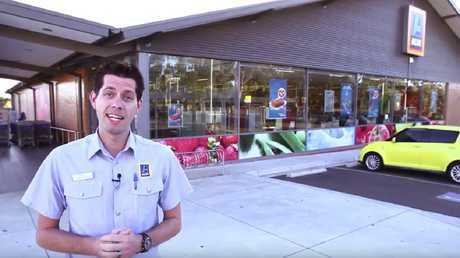 A leaked Aldi Australia training video, produced by Anvil Media last month, shows a store manager called Ross taking a tour throughout the property. The four-minute instructional video, which has only been watched 37 times, was produced to help new employees navigate the store easily. 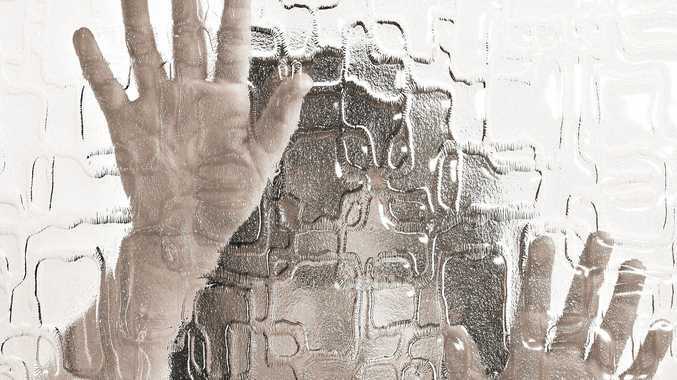 But to keen bargain lovers, it holds some handy tips as to how to make sure you can snag those highly sought after deals. Ross, the store manager, begins the tour outside in the carpark where he shows employees a secret button to press outside of store hours that will let them inside. He then explains all Aldi stores are laid out the same way. "This makes it easier for the customers to find the products they're looking for," Ross explains. The camera follows Ross as he divulges little secrets, here and there, about the layout of the store and why certain aisles contain specific items. But it's when he arrives at the Holy Grail of Aussie bargains - the Special Buys section - that things get interesting. "Specials run right through the middle of the store," he explains. "The new specials are displayed at the back and are advertised to go on sale every Wednesday and Saturday. "Our older specials are condensed and moved to the front of the store as the product sells." So if you're trying to find something from a few weeks back, head to the front area of the middle of the store any Aldi store. If they're still in stock, that's where they'll be. The Holy Grail of Aldi bargains: the Special Buys section. Ross then dropped another insider secret, revealing every Aldi store has a "specials cage" in the back area. "This is where we prepare our specials and high-value products," he said. So shoppers should always ask a staff member to check their specials cage for a particular bargain they have their eye on, just in case. According to Ross, maintaining a rotating selection of discounted items in the store keeps shoppers engaged each visit. "Specials bring our customers back because it means we have new and exciting products on sale every week," he said. 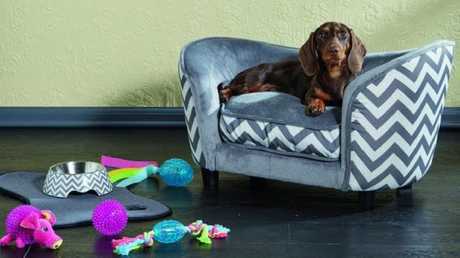 Aldi's Special Buys always get shoppers excited, like the recent pampered pets collection. Aldi's Special Buys rarely disappoint and include viral bargains like this week's $99 travel suitcase, or the range of viral plush animal chair for kids released earlier this month. One of the store's most successful Special Buys promotions was the Pampered Pets collection, which was shared by thousands of people in anticipation for the limited sale.